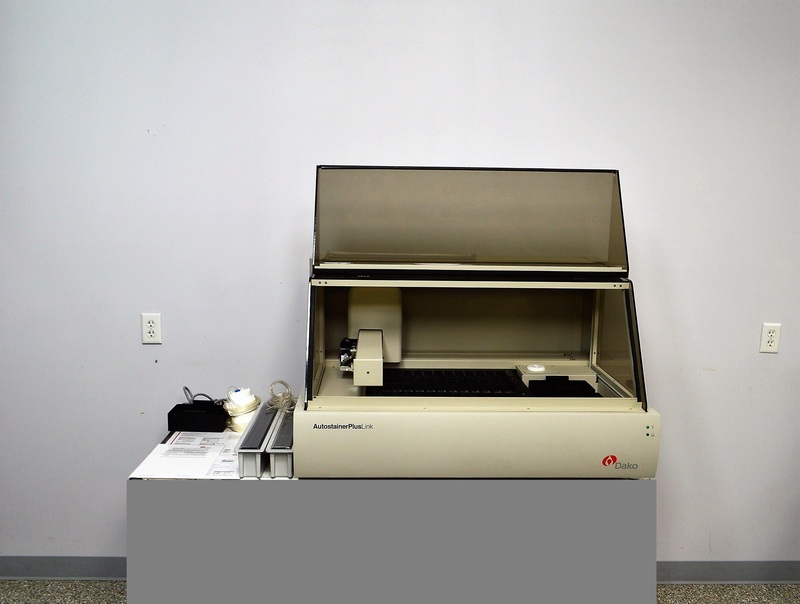 Dako Autostainer Plus Link Slide Staining Histology Pathology IHC w/ Racks S3800 . New Life Scientific, Inc. The PlusLink is in good cosmetic condition and it includes a number of accessories. The instrument was tested to power on only and it does not include software required to control the instrument. The technicians evaluated the PlusLink for damages and noted that this product is an all-around good condition. Unfortunately, NLS only tested this stainer's ability to power on which is determined to be 'basic functionality.' The customer wil need to provide the appropriate software to control the instrument and adjust settings.